Flags are an important way for countries to represent themselves to the world. However, what happens when a flag depicts something outdated and outgrown? The current flag of Myanmar was adopted in 2010. 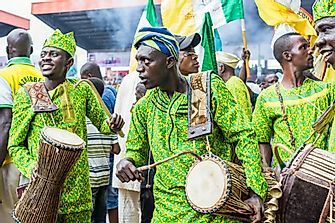 A flag is one of the most defining symbols of a country, and all countries in the world have distinct flags with designs attributed to their wealth, history, cultures, beliefs, and hopes. 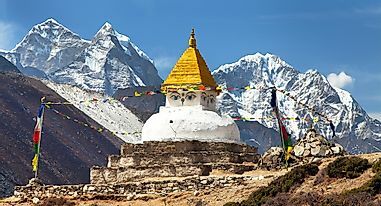 While many countries have had a single flag in their histories, some have had several flags adopted by their governments. A common reason for a country’s decision to change its flag is to symbolize the change in leadership or change in ideology. Below are ten examples of countries who grew out of their flags and adopted new ones. 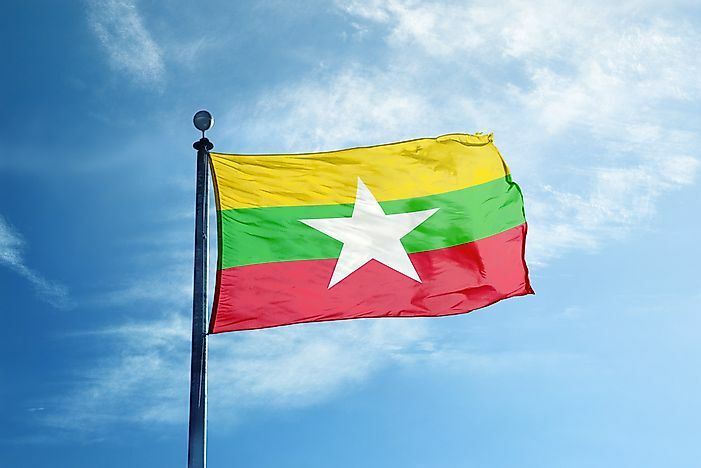 Myanmar adopted its current official flag on October 21st, 2010 after the country promulgated a new constitution and changed its name from Burma to Myanmar. 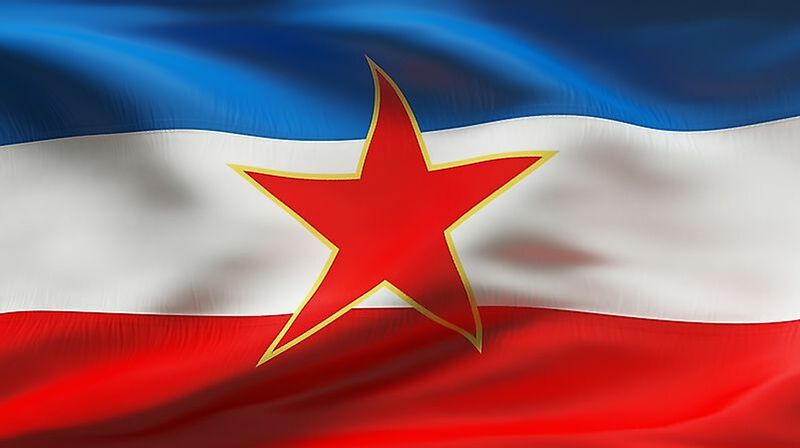 The flag features a tricolor of horizontal stripes of yellow, green, and red with a white star at the center with the colors signifying solidarity, tranquility, and determination. The flag replaced the socialist flag which had been adopted in 1974. All of the socialist flags were then burned by government orders. 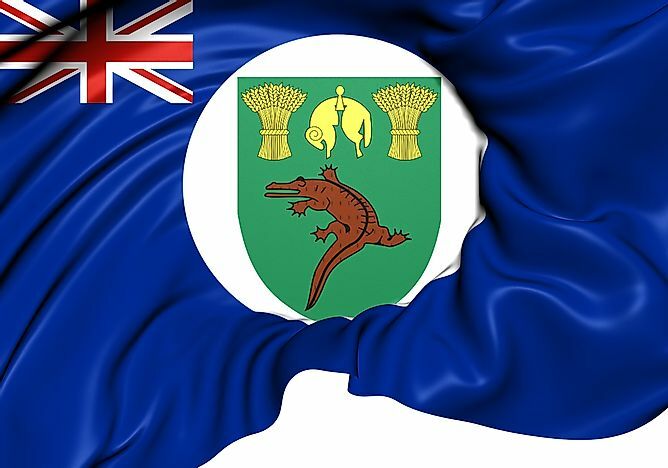 The flag formerly held by South Africa. The official flag of South Africa was adopted on April 27th, 1994 as the country began its first democratic elections and was designed to signify the end of apartheid rule in the country. The flag features six colors which represent the black population through the colors the main political parties existing during the end of apartheid; The ANC, the PAC, and the Inkatha Freedom Party as well as the white population in the country. The colors are arranged in a horizontal “Y” shape running from left to right to represent the unity among all people in the country. 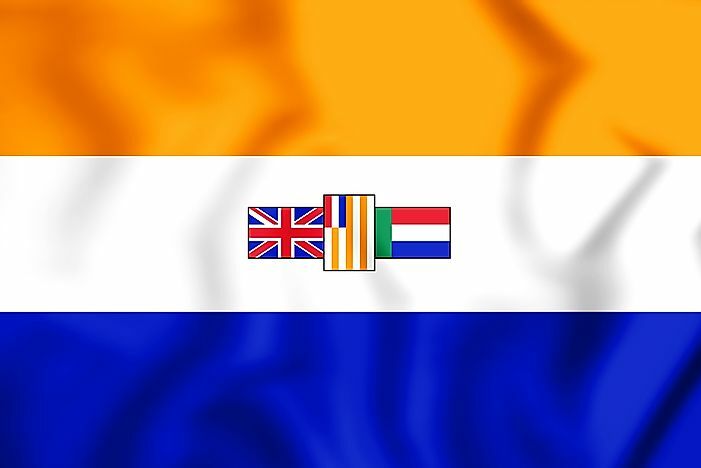 The flag replaced the apartheid flag which had been the country’s official flag since its adoption in 1928. The former flag of Malawi. 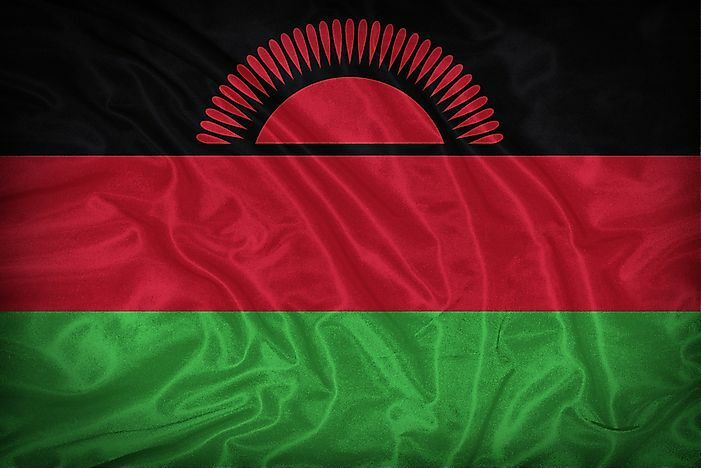 The present official flag in Malawi was adopted on May 28th, 2012 and was also the country’s first flag after gaining independence from Britain on July 6th, 1964. 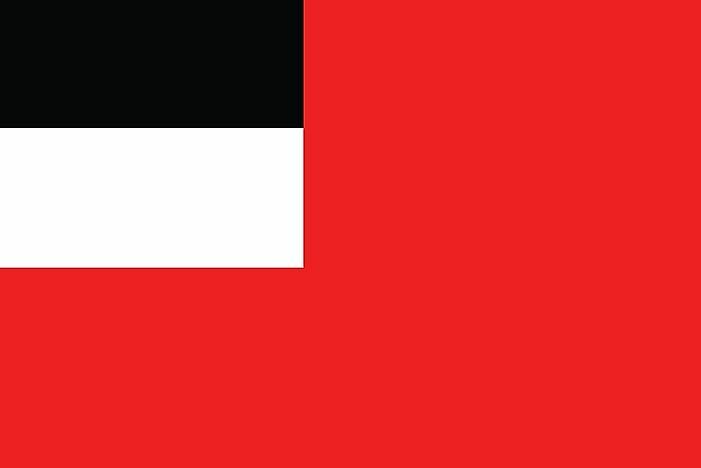 The flag has horizontal rectangle symmetry and features three stripes of black, red, and green arranged from top to bottom with the center of the black stripe being charged with a rising red sun. The rising red sun symbolized the dawn of freedom and the hope across the continent as the flag was designed at a time when many African countries were gaining self-rule. However, the original independence flag was replaced by President Bingu Wa Mutharika in 2010 with the rising red sun being replaced with a white full sun charged at the center of the flag. However, the original independence flag was re-adopted in 2012 after President Joyce Banda was elected. The flag of Iraq used between 1994-2001. 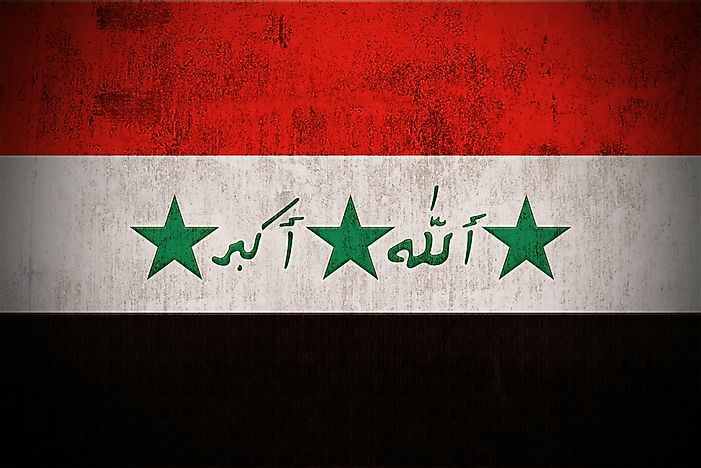 Iraq adopted its current official flag on January 22nd, 2008 and has the characteristic colors of the Arab Liberation flag found in most North African and Middle East countries. The tricolor is comprised of horizontal red, white, and black stripes arranged from top to bottom respectively. The flag also features a green Arabic inscription of the takbir. The flag was a modification of the previous flag where the only difference was the type of script of the takbir inscription and the current flag features a Kufic script while the takbir in the old flag was reportedly written in Saddam Hussein’s handwriting. 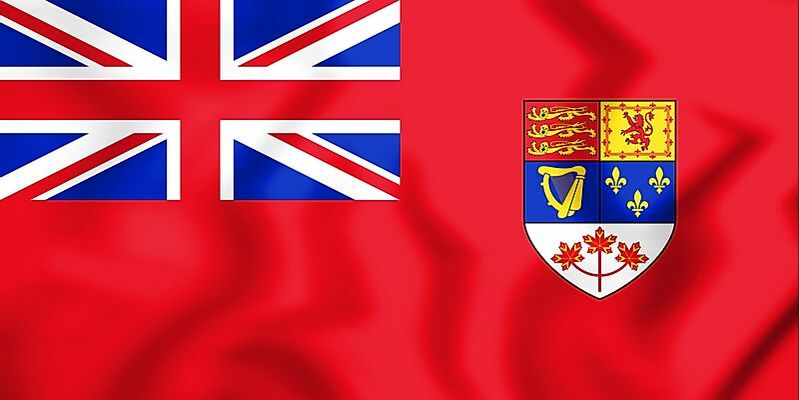 The Canadian flag used until 1965. The Canadian flag is a national symbol whose design features a horizontal symmetry with a solid red field indented by a white square at the center with a red maple leaf. The maple leaf is the flag most notable characteristic and gives the flag its nickname “The Maple Leaf.” The Canadian flag was adopted on February 15th, 1965 to replace the former flag. The British Union Jack had been a prominent feature on the country’s official flag despite Canada being an independent country. 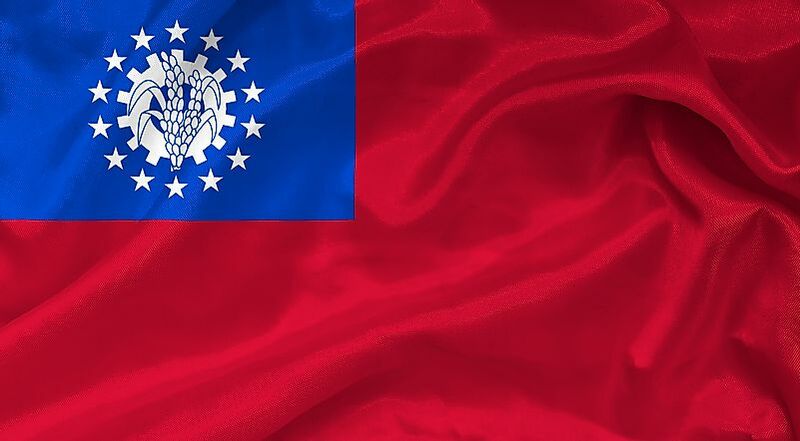 A committee was elected to come up with a flag that better reflected the country's character. Montenegro was formerly a part of Yugoslavia. The current official flag of Montenegro was adopted on July 13th, 2004. The design of the flag featured a solid red field bordered by a golden stripe and charged at the center by the country’s coat of arms. The flag is produced in two shapes, a horizontal rectangle and a vertical rectangle. The design of the flag is inspired by a former flag used in the country in the late 19th century during the reign of Prince Danilo. The current flag replaced the previous official flag which featured red, blue, and white stripes which had been in existence since 1994. The flag of Venezuela formerly featured seven stars. The design of the official Venezuelan flag comprises three equal stripes of yellow, blue and red along with a set of stars at the center and the national coat of arms on the flag’s upper left edge. 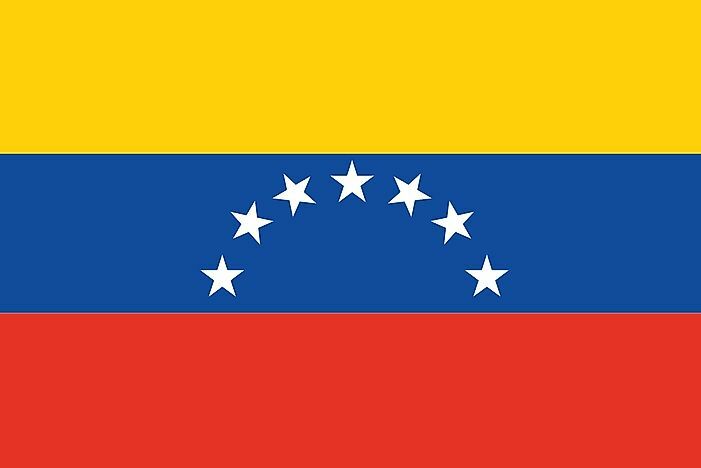 The current official flag of Venezuela was adopted in 2006 and was a modification of the previous flag. The design of the current flag was suggested by President Hugo Chavez and was quite similar to the country’s original 1811-flag. The 2006-design features an additional eighth star to represent the Province of Guyana which was originally a province in Venezuela during independence. Flags used to represent Lesotho include the flag of Basutoland, that was used until 1966. The official flag of Lesotho features horizontal blue, white, and green colors arranged top-to-bottom in that order with a local traditional hat in the middle. The flag was adopted in 2006 as a commemoration of the country 40th anniversary of self-rule. The flag was selected from four proposed designs with the bill to change the flag being passed by the Lesotho National Assembly on September 18th, 2006 and later approved by the country’s Senate. The flag replaced an old flag that was introduced in 1987 after a military coup. The former flag of Georgia used until 2004. The national flag of Georgia is known as the Five Cross Flag and is among the national symbols of the country. The flag was adopted by the Georgian government on January 25th, 2004 and replaced the previous Flag of Georgia which had been in existence since its adoption in 1990. The previous flag had been the official flag of the Democratic Republic of Georgia in the early 20th century but quickly became synonymous with the turbulent period during the collapse of the Eastern Bloc. The current flag was originally a banner used by the medieval Kingdom of Georgia and regained its popularity in the 21st century when it was used as a symbol of the Rose Revolution. The former flag of Libya used until 2011. Since Libya gained independence in 1951, the country has had several flags adopted by different governments. 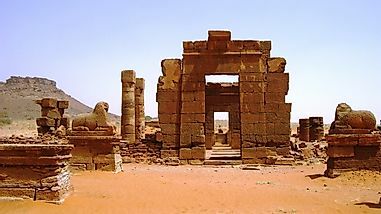 The first official flag of Libya was introduced soon after the country gained independence and was adopted on December 24th, 1951 by the then monarch government. However, during the 1969-coup d’état the flag was replaced with the Arab Liberation Flag. 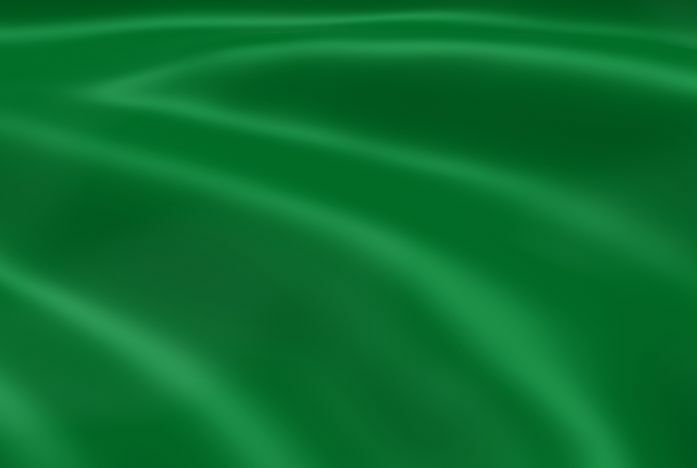 Former Libyan President Muammar Gaddafi introduced a green-field flag which became the national flag during his 34-year reign and was fashioned on his philosophical beliefs. Gaddafi’s reign ended during the 2011 Arab Spring, and the National Transitional Council government decided to adopt the original 1951-flag to become Libya’s official flag on February 17th, 2011.